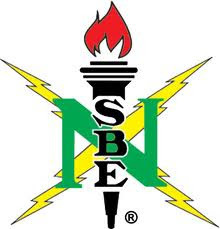 The NSBE Fellows Scholarship Program is a tiered-scholarship program that provides scholastic motivation to achieve and serves as a tool to encourage members to continue to strive for academic excellence, while developing professional and leadership skills through organization and community involvement. The awards are given to student members who have demonstrated high scholastic performance, dedicated service to the Society and other organizations, and who possess high professional promise. The National Society of Black Engineers will award several scholarships through this program at the NSBE Annual Convention in Pittsburgh, PA on March 28- April 2, 2012. All applicants must be paid NSBE members. All applicants must attend a College/University in the United States, Canada or the West Indies. All NSBE undergraduate and graduate student me mbers are eligible to apply. (Non-engineering/technical majors are not eligible. Demikianlah informasi 2012 The NSBE Fellows Scholarship for Undergraduate and Graduate Student kami sampaikan, semoga bermanfaat.